In a speech outlining her vision for Britain's future outside the European Union, Theresa May framed Brexit as an opportunity to make the country "stronger, more united and more outward-looking". But several of the prime minister's stated goals conflict with one another, and her hope of securing the best of both worlds remains unrealistic. May emphasised that a vital outcome of Brexit would be the return of border control to the UK, allowing it to clamp down on record levels of immigration that have strained schools, put pressure on housing and depressed wages. However, she proclaimed that post-Brexit Britain would aim to attract "the brightest and the best", be "a magnet for international talent" and "a home to the pioneers and innovators who will shape the world ahead". If Britain becomes more restrictive in who it lets through its borders, it could become less attractive to outstanding students and workers, who may value a more open and diverse nation. It could also miss out on talented individuals who haven't had the opportunity to prove their potential. And the government will likely base quotas on how many workers are needed across different industries; any mistakes could result in labour shortages. The cognitive dissonances in May's vision extend to other areas. She plans to seek the "greatest possible access" to the European Single Market by crafting a new free trade agreement, while restricting immigration - free movement of labour is a cornerstone of the market - and not paying the costs of EU membership. 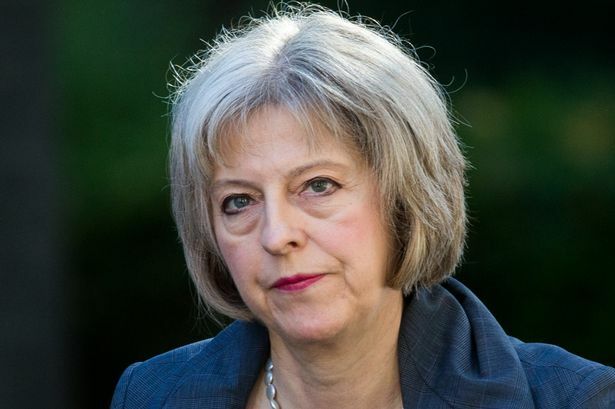 She hopes to maintain access to the common travel area while "protecting the integrity" of the UK's immigration system. And she wants Britain to be free to strike trade deals with non-EU countries, but also partake in tariff-free trade within the EU customs union. Britain may be an important trading partner to its neighbours on the continent, but it seems fantastical that other EU member states will allow it to receive the bulk of the benefits of membership without the costs, rules and regulations they shoulder. May's hope seems to be exactly that: she's desperate to maintain Britain's ties to Europe and make Brexit as comfortable as possible. Instead, she should practice what she preaches and look outward. Her priority should be securing deals outside Europe, which would raise confidence in an independent Britain's prospects and give her greater leverage in negotiations with EU counterparts. True, countries outside Europe may be reluctant to partner with the UK if it threatens their relationship with the EU, but the strategy could at least save Britain from begging.